This time we’re checking out the new Phanteks Eclipse P600S mid-tower PC chassis. The Dutch company is keeping up the pace, as this is another new product after the Phanteks Enthoo Evolv X, which we reviewed at the end of October 2018. This time it’s a chassis from a bit lower segment of the market (but that doesn’t mean it’s low-end). It combines the advantages of two approaches – silence and performance. If “normal” isn’t your thing, the Antec Torque might be just what you are looking for. With its open-air design, aluminum alloy construction and superbike styling, it’s is safe to say this chassis will stand out, wherever you put it. It could be the foundation for an impressive high-performance system build, but you’ll need to look past several shortcomings, plus a price that’s much higher than similarly designed alternatives. 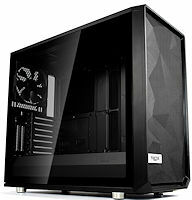 Many PC builders know what it is like to buy a new case only to end up having to replace it the first time you expand or downsize your system. Doesn’t sound familiar? How about the time you found the perfect case but it wasn’t available in the size you wanted at the time so you bought the case anyway, only to have the company release the case in the size you originally wanted a few months later. The good news is that Riotoro has developed a chassis that addresses those types of issues with the world’s first convertible PC case. Yes, you read that correctly. 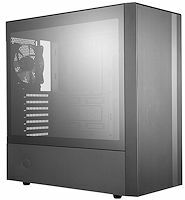 Said case was Fractal’s attempt to offer something different from its typically staid enclosures, and though we’re historically fond of the firm’s Define Series, it was nice to see Meshify mix things up a bit. 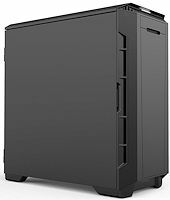 We evidently weren’t alone, as sales of Meshify C were strong enough for Fractal to conjure up a larger alternative in the form of the Meshify S2. So like be quiet! 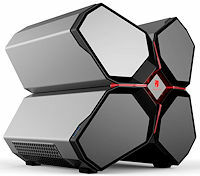 felt a need to improve on their flagship chassis, the ‘new’ Dark Base Pro 900 v2 on the outside looks similar to the one released two years ago – but they applied some tweaks and improvements. Dark, style and feature-rich and obviously silent with the help of noise dampening are just a few features that come to mind. The 900 Pro once again has been fitted with a coated tempered glass, the chassis will offer noise isolation thanks to padded dampening, well that and the use of some faster spinning Pure Wings 3 fans (three of them). As such we review the updated revision 2 be quiet! Dark Base 900 Pro. Their case has been overhauled a bit with a new fan controller, new Silent Wings 3 fans, a PSU shroud cover, USB 3.1 Gen 2 support as well as 12V LED strip compatibility. The Pro model still retains that sweet Qi wireless charger for your phone. So yeah, silent fans and improved fan controller and LED support. Have a peek at the product we’ll review today. 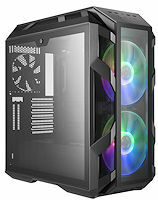 Normally we expect to see product ranges being refreshed after the big trade shows such as Computex, which happens next week in fact, but Cooler Master’s latest addition to its MasterCase range of cases is another in a long line of new tempered glass-clad models that are built around a similar chassis, and there are more to come as well. This particular model, like the H500P we reviewed recently, comes equipped with a pair of 200mm RGB fans with the boon of these being addressable with individually-controlled LEDs, but there’s plenty more here compared to the H500P for the extra £50 you’ll be spending. 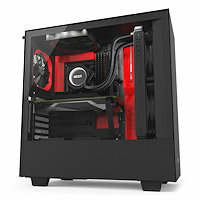 We’re big fans of the NZXT chassis range here at eTeknix. Fans enough to have built, and currently be building systems of our own in their amazing H400i and H700i chassis! However, the family isn’t complete, and the new H500i looks set to take the middle spot of the two chassis, blending features from both with an aim of wider appeal. The H700i is one of the, if not the most impressive chassis we’ve reviewed in years. However, it’s pretty darn expensive too. With the H500i, you get many of the features in a slightly more affordable package. However, there are a few other nips and tucks to the design and overall improvements too, making it very appealing to us. 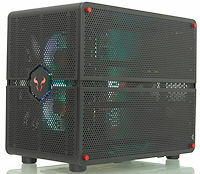 The Lian Li PC-O11 Dynamic is not simply an updated version of the existing PC-O11. It is a unique beast of its own that essentially only shares its timeless looks with the current variants. Thanks to the input of German pro-overclocker der8auer the PC-O11 Dynamic aims to offer loads of radiator support, while allowing for an uncompromising choice of high-end hardware.